When the veteran entrepreneurs behind Digital Lifeboat settled on a location for their fledgling company, they weren’t concerned with landing one of the hot tech-startup addresses in South Lake Union or Pioneer Square. Instead, the small Digital Lifeboat team has been pouring its time and resources into developing the software engine for its version of online file backup—including getting patents. Now, it’s a little more ready for primetime. The startup recently added $1 million in financing to round out a $3 million round that originally was filed with regulators last year. Investors include Mercer Island, WA’s Keeler Investments, San Francisco’s Catamount Ventures, and angel investor Brian Finn. The company just ended its nearly yearlong beta testing phase, and is now open for new paying customers—“Basically, it works now,” Teglovic says. 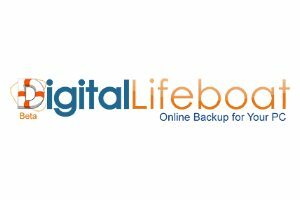 Digital Lifeboat’s product is an online file backup service, offering consumers a place to securely save copies of their important documents and other digital treasures. Big deal, right? There are plenty of companies offering similar services already, including EMC/VMWare’s Mozy, which is based in Seattle, and Boston-based Carbonite. The difference is that Digital Lifeboat uses individual computers on its network as nodes in a distributed storage system, rather than requiring a concentrated mass of data centers to store everyone’s files. That’s similar to the idea behind Seattle startup Symform, which is targeting business customers with a distributed storage system. When users sign up for a Digital Lifeboat account, starting at $30 a year, they get unlimited backup on the system. But by joining the service, users also agree to become a part of the storage network for everyone else, giving up a piece of their unused hard drive space to store someone else’s stuff. Of course, security is hugely important in this kind of arrangement. All of the files are encrypted and hidden in multiple ways to ensure that private data remains unseen by anyone else, Teglovic says. One of the major features is something called “erasure coding,” which splits files into pieces and distributes them across the network. In layman’s terms, here’s how it works: After each file is encrypted, it’s split into 20 different “chunks.” Those 20 chunks are then split again, this time into 50 chunks, which are sprinkled across different PCs on the storage network. But the chunks overlap, so to get their file back, a user only needs to access 20 of the 50 chunks at any given time—giving more flexibility for Digital Lifeboat to manage how much space to take up on the network. The startup’s software and central control server act as the traffic cop this whole time, ensuring that everyone on the network has access to the files they need, but also retains enough room on their hard drives to keep running their computers properly. Digital lifeboat should be ashamed of itself for what it did to it’s users. They left us high and dry. They lied to us and now we have to scramble to find new backup services!!! Shame on you liars!!! I am lost on what happened? What is going on Alexis? Pls describe your experience. Did you join? Did they fail to back up? On what basis are you calling them crooks & scammers? I’m using the service & your information is important to me. is free to backup and free to restore. active will be FREE FOR LIFE. The above statement was “DIGITAL LIFEBOAT” promise to us beta users.